Geometry conquers the table. Rectangular or square plates and small bowls are in fashion. The square baking/soufflé dish is the perfect complement to the serving plates of the Various porcelain (China) series. Pre-cooked dishes are heated in the pan in the microwave or oven and are then served on the table. The convenient handles mean you can carry the pans safely. If something is left over after eating, the covered platter becomes a lid and the leftovers are put in the refrigerator. Whether you're making a gratin or a casserole or just serving your food at the table, WMF baking dishes are true kitchen heroes. After all, WMF baking dishes make the perfect addition to your kitchen. It's almost impossible to imagine modern cuisine without baking dishes. Whether it's for mouthwatering rice pudding, a Mediterranean baked pasta dish or a tasty potato gratin, you simply can't brown them perfectly in the oven or microwave without a baking dish. It's absolutely vital that oven dishes – as baking dishes are also known – can withstand high temperatures. That's why WMF baking dishes are made of heat-resistant hard porcelain.  What's more, all baking dishes from WMF are the product of German quality workmanship. The WMF online shop contains a remarkably large selection of baking dishes. Our designers also take great care to ensure our baking dishes can be combined with one another. You can choose between different sizes, and of course smaller baking dishes fit inside larger ones for storage. But you can just as easily stack high-quality WMF baking dishes of the same size on top of one another. Some models also come with a porcelain lid that doubles up as a handy serving platter. Thanks to their neutral, modern design, most of our baking dishes can also be used to serve your food and can be placed directly on your table. However because they get extremely hot, we do insist you use a suitable stand. WMF baking dishes go very well with other tableware from the Various series. WMF baking dishes are rectangular. This shape enables them to be combined in the largest number of ways. Not only are they practical to stack. They're also easy to clean. Cheese and other ingredients often burn onto surfaces at the high temperatures baking dishes are subjected to. A rectangular shape makes our baking dishes effective and quick to clean. Difficult-to-reach corners or depressions are therefore a thing of the past. It goes without saying that WMF baking dishes are dishwasher safe and suitable for use in both the oven and the microwave. The dishwasher-safe hard porcelain used for WMF baking dishes is of the highest professional quality. Thanks to their hard glazing, our baking dishes are completely scratch-resistant. High impact-resistance ensures that their edges and corners are protected, more proof of how suitable WMF baking dishes are for everyday use WMF hard porcelain for baking dishes keeps your food warm for longer at the table and ensures you can enjoy it to the full. So discover our outstanding baking dishes at the WMF online shop today!